BEIJING — Chinese President Xi Jinping says his country is well on track to deliver a "spectacular" 2022 Winter Olympic Games. 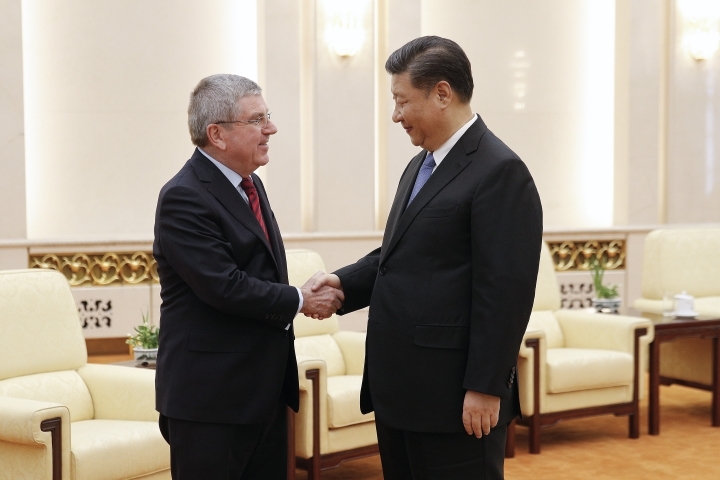 China's government was firmly committed to staging the games with a "green, inclusive, open, and corruption-free approach," Xi told IOC President Thomas Bach on Thursday. 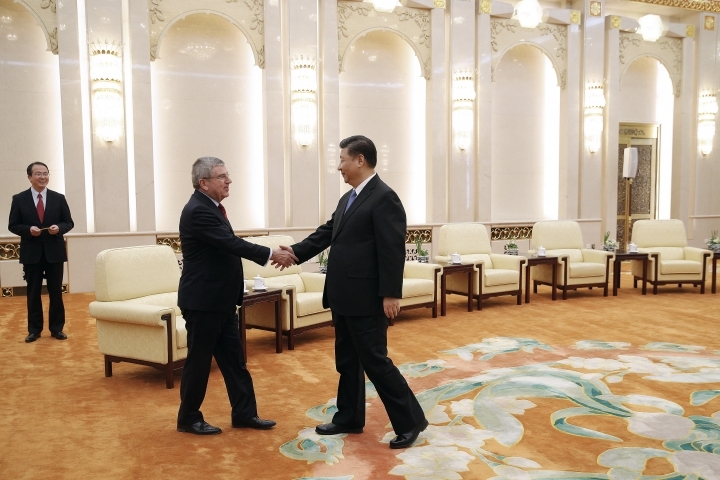 "We will deliver a spectacular games," Xi said in opening remarks at their meeting at the Great Hall of the People in central Beijing. Xi said China's preparations grew out of its people's approach to performing jobs in a "methodical matter and well in advance." 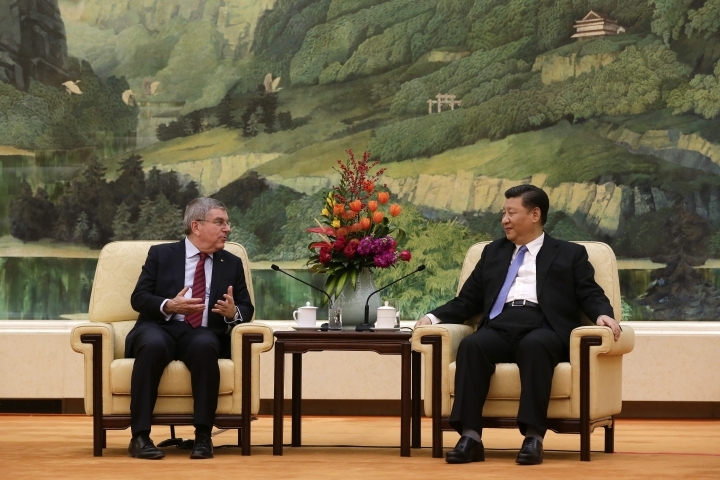 In response, Bach said his delegation had been impressed with their visits to the Olympic venues, winter sports training grounds, and the winter ice festival in the northeastern city of Harbin. "And we had a great experience about the dynamism and efficiency of China in the preparation for these Olympics," Bach said. Beijing received the games by attrition, winning over Almaty, Kazakhstan, after a half-dozen European bidders dropped out, discouraged by soaring costs and taxpayer backlash. Its win was based largely on the city's organizational prowess, financial backing, and ability to reuse existing venues. Beijing claims strong public support for the games, although the ruling Communist Party severely restricts public participation in such decision-making. Beijing's win came despite concerns about air pollution and the city's long, dry winter that will require it to rely almost entirely on man-made snow. The Nordic events will be held in the Zhaolong ski area in neighboring Hebei province, which generally receives some natural snow cover. The government has also been criticized for its record on human rights, including the internment of hundreds of thousands of Muslims in political indoctrination camps. 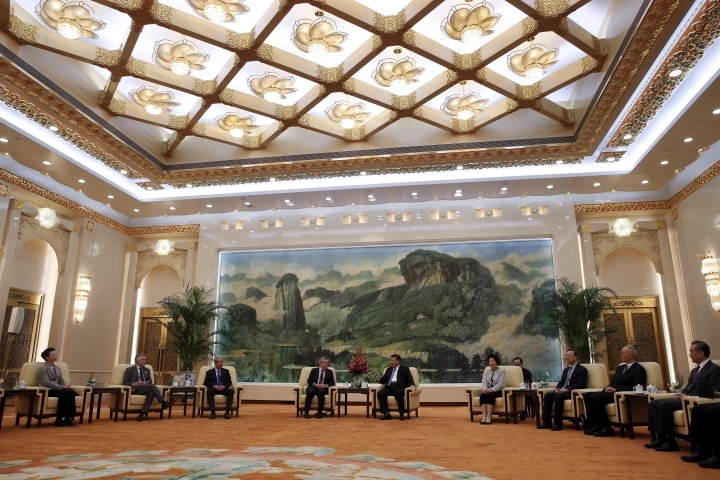 Yet, with fewer countries willing to bid on the games, Beijing appears a safe bet for the International Olympic Council. After being rejected in yet another public vote, the IOC is down to two candidates to host the 2026 Games — Stockholm, and a joint Italian bid from Milan and Cortina D'Ampezzo. Both of those bidders also have issues , and organizers are scrambling to give the next available Winter Games to one of them before either bid gets derailed.